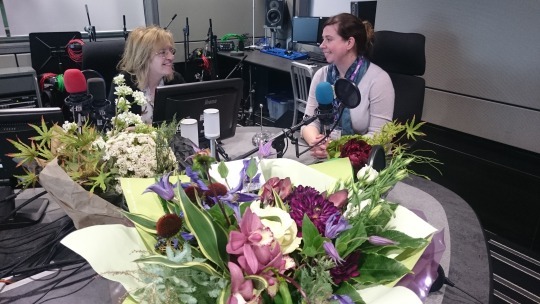 It’s not everyday that you get asked to go on National Radio to chat about flowers! But when opportunitites like this do arise, it would be plain rude to turn them down, even if you do feel petrified about what you’ve just agreed to! I was elbow deep in bread dough when the the telephone rang on Tuesday evening, and the Chairman for the National Association of Flower Arrangement Societies was asking me whether I would be willing to go and chat to Winifred Robinson from the BBC Radio 4′s ‘You and Yours’ program. 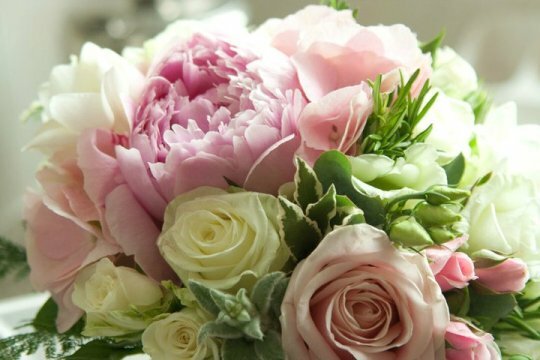 After a quick chat to the programs editor about the rise in popularity of faux flowers, or as I prefer to call them, permanent botanicals, I agreed to go and have a chat on air and take some fresh flowers with me as a comparison. 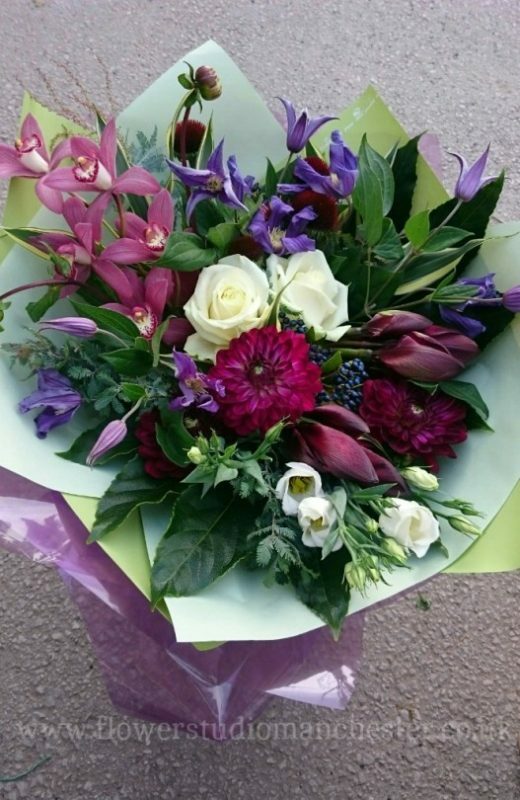 As a florist, working with fresh flowers is always my first choice, the scent, the feel and subtle variations in each bloom just cannot be replicated. However, I absolutely believe that permanent botanicals have their time and place, and you can now get some very convincing ones, which from a distance would even have me straining to guess correctly whether they are real or false. But, be prepared to pay for quality. 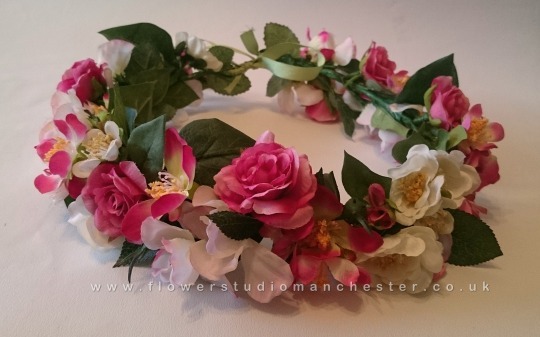 Of course false flowers have huge advantages of you are getting married abroad and wish to take your blooms with you, or if you are looking for a low maintenance display to put in the corner of your room. 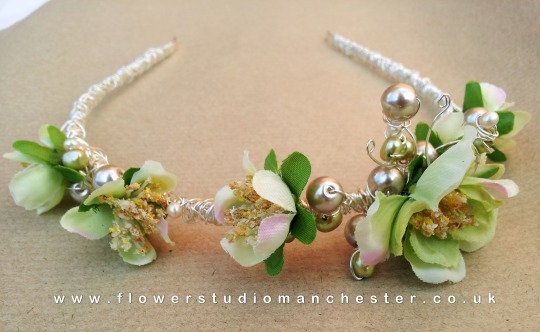 They work perfectly for some of our floral jewellery designs, and of course they keep forever! They are beautiful for what they are, but somehow they are still not quite as captivating as the real thing! If you would like to listen to Alisons chat with Winifred Robinson please click here, which will take you to the BBCs Iplayer. The recording should be available for at least the next year! The discussion about faux flowers starts at 0:22 minutes in.